Bruce Broughton created a marvelous original soundtrack for the 1994 version of this heartwarming holiday movie. 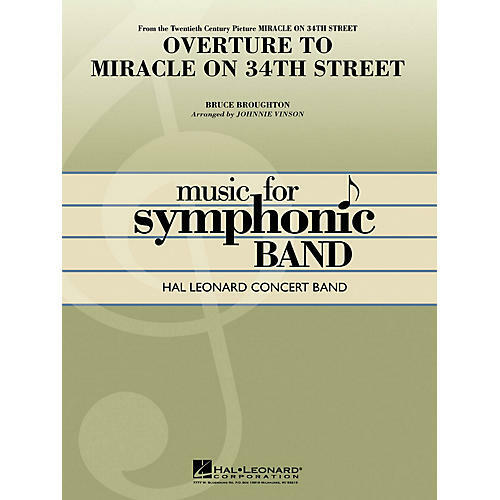 This authentic-sounding adaptation has become a popular choice for holiday concerts and combines the best elements from the overture into a concise and impressive work that will be a treat for any audience. Available editions: Concert Band* (04002444) String Insert for Concert Band Version* (04490900) Church (Full) Orchestra* (08750125) *Concert band, full orchestra and string insert sets are fully compatible. Click the View Instrumentation link for any of the item numbers to choose the set that fits your needs.